I love all kinds of recipes for lefetover ham. 15 Bean and Ham Soup, Ham and Veggie Soup, AuGratin Potatoes and Ham, Cheesy Ham Potato and Broccoli Soup, and so many more! 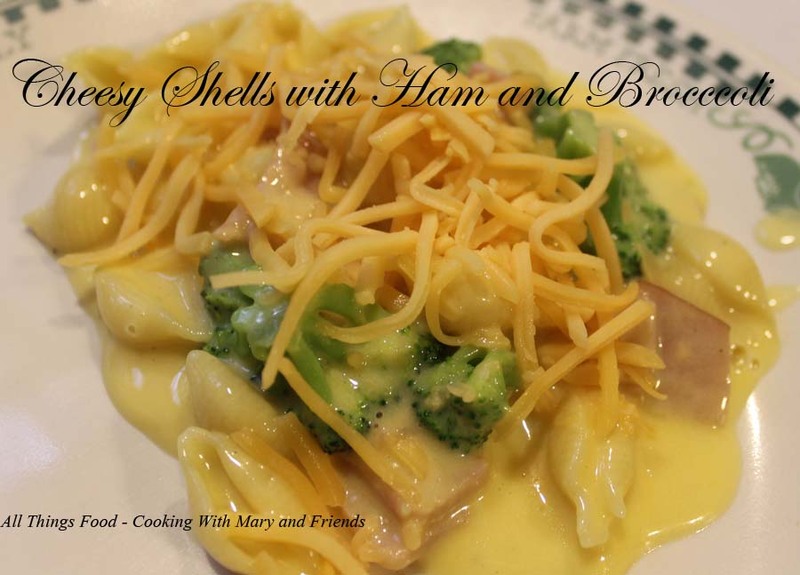 This recipe for Cheesy Shells with Ham and Broccoli is so easy! Start to finish takes approx. 30 minutes, so very good for a quick, weeknight meal. 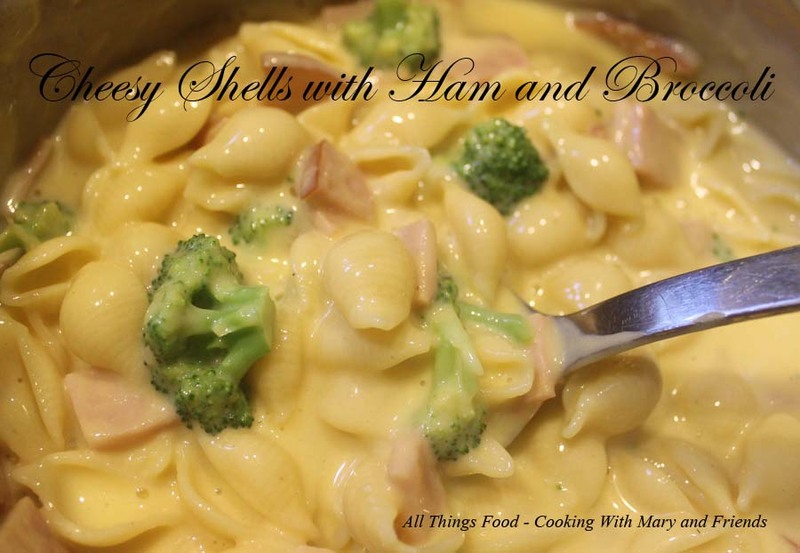 Original recipe adapted from Mueller's Pasta where they used Campbell's Broccoli Cheese Soup. Cook pasta according to package directions. Add broccoli during last 3 to 4 minutes of cooking time. Drain reserving 1 cup of pasta water. Add hot pasta water back to pan; stir in ham, both cheeses and milk; cook over low heat 8-10 minutes or until cheese is melted (may need to add additional milk to make a smooth and creamy sauce). Whisk corn starch and cold water together; stir into pan to thicken slightly. Stir in pasta, broccoli and continue to heat a couple of more minutes, or until hot. Serve immediately. Top with additional shredded cheddar cheese if desired. *Note - Substitute 1 package (16 oz) ham cubes for the 2 cups ham cubes. Substitute frozen broccoli florets if desired.